Optus has unveiled plans to acquire Australian start-up Hivint, in a move designed to enhance cyber security capabilities across Asia Pacific. Terms of the agreement will see Trustwave - the global cyber security arm of Singtel and its wholly-owned subsidiary Optus - integrate Hivint’s advisory services into security offerings both locally and regionally. Founded in 2015, Hivint is a Melbourne-based consultancy firm which provides professional services within the field of cyber security, spanning technical, governance, risk and compliance services. 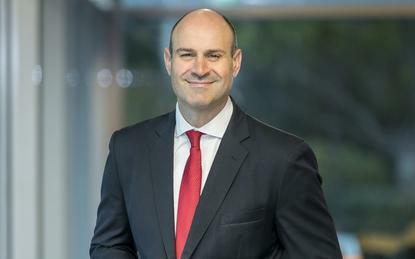 “This acquisition is timely as an overwhelming 85 per cent of over 200 Australian enterprises we surveyed cited cyber and information security as having the highest disruptive impact on their industries in the next three years,” said John Paitaridis, managing director of Optus Business. According to Gartner findings, Australia represents a “key growth area” for cyber security services in Asia Pacific, with the professional services market set to grow to US$600 million by 2021. Paitaridis said one of Hivint’s key differentiating strengths centres around Security Colony, a collaborative software-as-a-service platform built to allow subscribers access to a library containing information about security management systems, policies, standards and templates. Such information has been derived from Hivint’s consulting engagements with hundreds of enterprises across the country. “We are very excited and looking forward to this journey ahead,” added Nick Ellsmore, co-founder of Hivint. “Singtel is building a truly global cyber security business under the Trustwave brand. The acquisition also aligns to a number of Optus cyber security investments and collaborations, including strategic partnerships with Macquarie University and La Trobe University, in addition to Australia’s Cyber Security Cooperative Research Centre. “We are pleased to add Hivint’s capabilities, high-level expertise and community-driven approach to cyber security into Trustwave consulting services,” said Arthur Wong, CEO of global cyber security at Singtel and CEO of Trustwave. “Protecting businesses from data breaches, disruption of operations and loss of IP and economic assets has become a key objective for c-suite and board level executives.